The Citi Prestige® CardCiti Prestige® Card is a strong and premium contender in the rewards market (Citi is a CardRatings advertiser), especially if you're a frequent traveler who appreciates the finer things when you take to the skies or hit the road. But, before you ask, "Where do I sign up?" you'll need to get beyond one major mental and financial hurdle: an annual fee of $450. Yes, that's $450, a massive annual fee compared to most credit cards out there where competition has driven up lucrative sign-on bonuses and driven down annual fees. We consumers want it all and we want it now. That said, it's actually a not-uncommon annual fee in the luxury credit card market. So why would anyone consider the Citi Prestige® CardCiti Prestige® Card? Well, for die-hard travelers, the math may work out well, especially if you crave luxury touches with your travel and lots of personalized attention and logistical support. A $250 annual air travel credit - that's half the fee already. Ability to transfer points to participating travel loyalty programs such as those with Virgin Atlantic, JetBlue and many others. Three times points on air travel and hotels. Two times points on restaurants and entertainment. One ThankYou® point per $1 spent on other purchases. The current offer of 40,000 bonus points after you spend $4,000 in the first three months. But here's the big value-add: Each time you stay three consecutive nights in a hotel that you've booked through the Citi Prestige® Concierge, you'll get a fourth night free (after July 23, 2017, the benefit value will be calculated from the average nightly rate of your stay, minus taxes). Depending on where you typically stay when you travel, putting this perk to use just one or two times a year could alone offset the annual fee. Earn up to $250 annually in statement credit for your airline fees. With Citi Price Rewind, you could receive the difference back if an item goes on sale within 60 days of your purchase. Enjoy a complimentary fourth night when you book a three-night stay at any hotel through the Citi Prestige® Concierge. 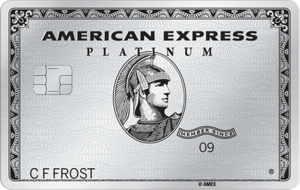 This isn't the card for periodic travelers or casual credit card users. There's a steep annual fee, so you'll need to put all the perks and rewards opportunities to use to offset that fee. Two key phrases: travel rewards and no cap or expiration on points. This is what really drives the success of the Citi Prestige® CardCiti Prestige® Card; what's more is the breadth of travel rewards and the spin toward luxury. This is not for the bargain basement, no-frills traveler, but if you have a bent toward luxury (or just like to live vicariously through other people's credit card perks), keep reading. The $250 annual statement credit to cover airline travel fees is a major opportunity to offset the annual fee. Purchases with airlines, including for airfare, luggage fees, some in-flight purchases and even airport lounge access, can count toward your reimbursement. More than likely, a single round trip flight will more than earn you that reimbursement. Speaking of fee credits, once every five years the primary cardholder is eligible for up to $100 in credit to cover the Global Entry or TSA Precheck application fee. Use that credit and the $250 fee credit and you've covered $350 of the annual fee for that year. But there's more. You're eligible for a fourth night free when you stay three consecutive nights at a hotel you book with the Citi Prestige® Concierge. With no limit to how many times you can use this perk, the savings can add up in a big way and certainly go a long way to offset the card's hefty annual fee. Do note the fine print: "For reservations made on or after July 23, 2017, the benefit will be calculated as the average [our emphasis] nightly rate of your total stay, not including taxes." Also note that the fourth night will appear as a statement credit after the fact. Enjoy complimentary access to hundreds of VIP airport lounges through Priority Pass™ Select. Medical help if you fall ill abroad. Adding a second user isn't nearly as steep in terms of annual fees: it is $50 for each authorized user. ThankYou® Points can be redeemed for cruises, getaways, even live music. If cash is your thing, though, it's great to have flexibility in terms of also redeeming for cash or gift cards. We also love the concept of a "Points Concierge" to whom the company says you can request something specific and also discount redemption options. Who doesn't like personalized service plus bargain hunting? You can use your ThankYou® Points to make a donation to a charity of your choice via pointworthy.com. OK, that fee again. If you are a light credit card user or an infrequent traveler, it may not make sense to pay the fee. It also pays to read the fine print: The current promotion in bonus points is redeemable for a $500 flight on any airline, the issuer says, or $400 in gift cards. Both seem pretty nice, but if you aren't in a position to travel and don't want more gift cards, this bonus may not be a game changer. What's interesting about this card, though, is it still manages to offer strong rewards outside the travel arena. This is supposed to be the "reality check" section, but we particularly love the "City Price Rewind" program. This means that the issuer will search for a lower price on registered items purchased online with your Citi Prestige® CardCiti Prestige® Card. If they can find it at a lower price at any point within 60 days, you could pocket the difference. This card requires excellent credit in order to qualify, which is another important factor to consider. Applying for a card that doesn't match your credit profile can be a mistake, potentially driving down your credit score, especially if you are applying for a lot of credit cards at once. It's also interesting in the fine print for this card Citi says some revolving credit limits might be "as low as $5,000" which is not a great credit cushion to max out points or even to use in full for that amazing life-changing trip around the world. Our advice is to lean toward this card if your credit profile is excellent-to-stellar and hopefully get a large enough credit cushion to make it worthwhile. As always, pay off your balances in full each month as a general rule and if you can't, take advantage of great zero APR intro offers on balance transfer cards. They make an enormous difference in how fast you can get back to a low credit utilization rate. 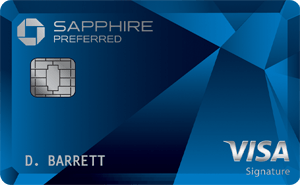 If you'd like to maximize rewards but still need an everyday, work-horse kind of card, the Blue Cash Preferred® Card from American Express might have the slight advantage here. At the end of the day, if you have your heart set on the jet-set life, the Citi Prestige® Card takes the win here. The Mastercard® Black Card™ is a relative newcomer to the luxury credit card market, but it arrived with plenty of perks that make it comparable to the Citi Prestige® Card. For starters, the Mastercard® Black Card™ does offer an airline fee credit, but it falls a bit short of the Citi Prestige® Card at just $100 annually. You'll also be eligible for Global Entry or TSA Precheck fee credit every few years and complimentary access to about 495 airport lounges around the globe. The Mastercard® Black Card™ really shines when it comes to its points earning and redemption opportunities. You'll earn one point per dollar on all your purchases, but when you redeem for airfare, your points are worth more. That means that 50,000 points is worth $1,000 in airfare. You will pay a bit more annually for the Mastercard® Black Card™, $495 and $195 for each additional authorized user, but if you're a big credit card spender and you prefer to redeem points for airfare, you could do well with the Mastercard® Black Card™. 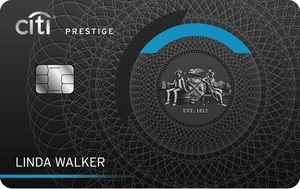 The Citi Prestige® CardCiti Prestige® Card is designed for people who travel often and travel well. You'll need to spend enough on the card annually to rack up the points and offset the annual fee – though you can do some of that just with the $250 annual airline fee credit. If you're looking for some nice travel options, but not the hefty annual fee, take a look at some of our other picks for top travel rewards credit cards.